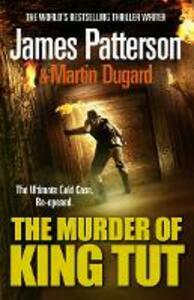 Master of suspense James Patterson re-opens the ultimate cold case - the unsolved death of Tutankhamen. Thrust onto Egypt's throne when just nine years old, King Tut's reign was fiercely debated from the outset. After nine years in power, Tut suddenly perished and his name was purged from Egyptian history. To this day, his death remains shrouded in controversy. Now, in The Murder of King Tut, James Patterson and Martin Dugard dig through the evidence to arrive at their own account of Tut's life and untimely death. The result is an exhilarating true crime tale of intrigue, passion, and betrayal that casts fresh light on one of the oldest mysteries of all.